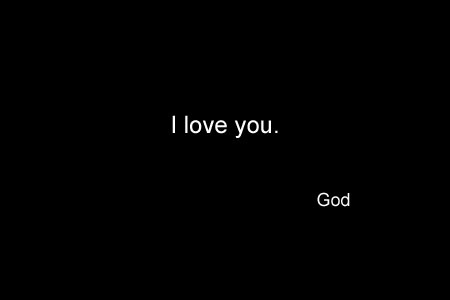 “God is Love.” I can’t even remember not knowing this, even if I’ve not always treated myself and others that way. Each of us has the right and the capacity to Love (God). We only need to release ourselves to do so. As a culture, we suffer from a lack of love. We are ungracious, unkind. So often we are focused on meeting our own needs, or those of the ones we love, forgetting that love is one of the few things amplified by its own dissemination. You get more by giving it away. We could all do with a round of random acts of kindness. Random. Unknown. Never acknowledged. Just because. 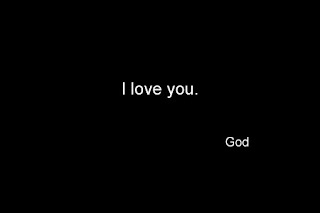 The way He loves us. Not because we deserve it, but precisely because we do not, and yet He gives it anyway. Mother Theresa said, “Let no one ever come to you without leaving better and happier. Be the living expression of God's kindness: kindness in your face, kindness in your eyes, kindness in your smile." Give yourself permission to love, to be the living expression of God. Where would you be without it? Love. The thing that God is. Addition via subtraction (you get more by giving it away). Today’s reminder that God is good.